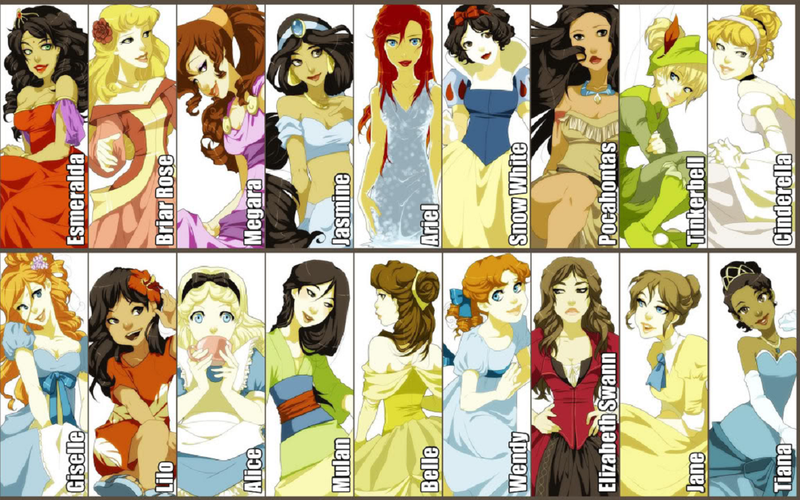 princess and non princess line up. really cool. ifound the bottom half in this club but this one also has names. 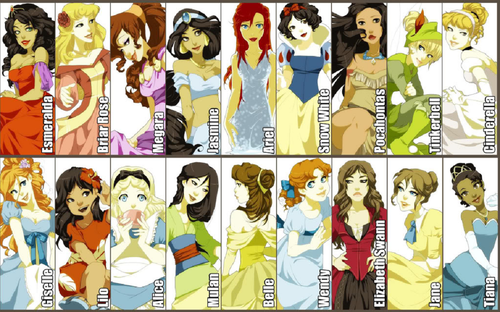 HD Wallpaper and background images in the डिज़्नी प्रिन्सेस club tagged: disney disney princess. This डिज़्नी प्रिन्सेस fan art contains मोबाइल फोनों के लिए, हास्य पुस्तक, मंगा, कार्टून, एनीमे, कॉमिक बुक, and manga. There might also be रंगीन काँच and सना हुआ ग्लास विंडो.